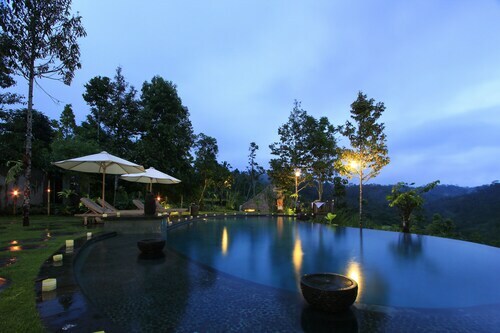 This family-friendly Sebatu resort is within 2 mi (3 km) of Tirta Empul Temple and Tegallalang Handicraft Center. Elephant Safari Park and Gunung Kawi Temple are also within 3 mi (5 km). Situated on the boardwalk, this spa resort is within 6 mi (10 km) of Tirta Empul Temple, Tegallalang Handicraft Center, and Elephant Safari Park. Bali Pulina and Museum Geopark Batur are also within 9 mi (15 km). 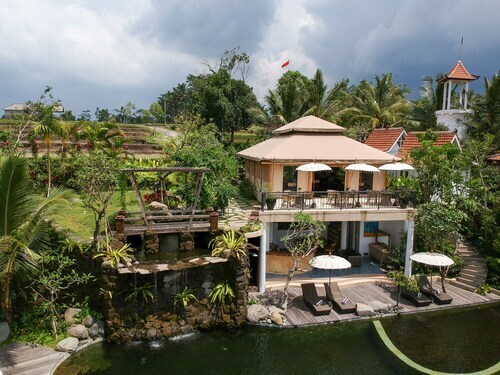 This family-friendly Sebatu hotel is located in the mountains, within 3 mi (5 km) of Tirta Empul Temple, Elephant Safari Park and Tegallalang Handicraft Center. Bali Pulina is 3.1 mi (4.9 km) away. This family-friendly Sebatu resort is located in a rural location, within 3 mi (5 km) of Gunung Kawi Temple, Tegallalang Rice Terrace and Elephant Safari Park. Ubud Traditional Art Market and Ubud Royal Palace are also within 9 mi (15 km). Heading to Sebatu? You're in luck. There's a good range of hotels available in the area. 11 of those are within 5 kilometres of the centre of the city. Stay near the action at the Elephant Safari Park Lodge and Puri Gangga Resort. Kemenuh is where it's at if you are looking for an area with heaps of places to stay. 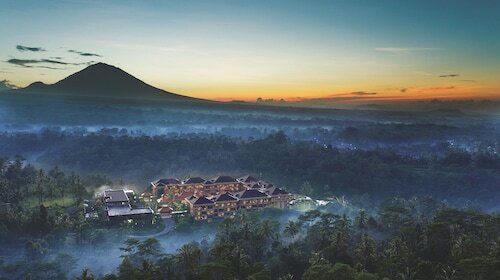 Places to stay here include the Villa Puri Darma Agung and Anusara Luxury Villas - Adults Only. Visitors will also discover fun places to stay in Lodtunduh. This popular hotel neighbourhood is 20 kilometres from downtown. 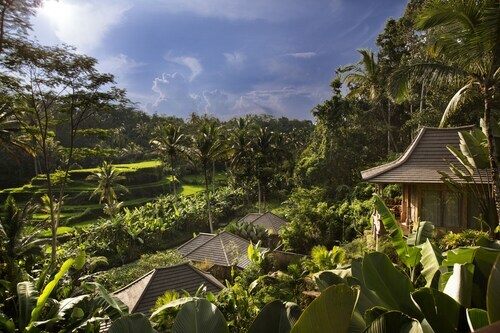 There are 8 accommodation options in Lodtunduh, including the Puri Tupai and Fullmoon Villa Ubud. You can learn about the customs of the local faith at Tirta Empul Temple. Puri Sebatu Resort and Padma Resort Ubud are great places to stay if you want to be in the vicinity of this attraction. At Elephant Safari Park, the gang can observe some wonderful animals, and discover firsthand the important role of wildlife protection and care. Rest your head at Saudara Home and Pondok Sebatu Villa and you can drop by this hotspot as often as you'd like. If you find yourself needing more options in Sebatu, consider the Alila Villas Soori and the Viceroy Bali. They are 35 kilometres and 13 kilometres away from the city's main streets. Further alternatives include the Four Seasons Resort Bali at Sayan, 15 kilometres away, and the Chedi Club Tanah Gajah, Ubud, 16 kilometres. The nearby localities of Carangsari and Kedewatan are certainly worth seeing. Carangsari is 11 kilometres to the southwest of Sebatu, while Kedewatan is 12 kilometres to the southwest. 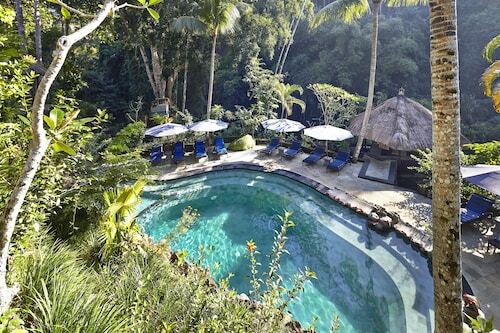 Carangsari accommodations include the COMO Shambhala Estate and Villa Amrita. 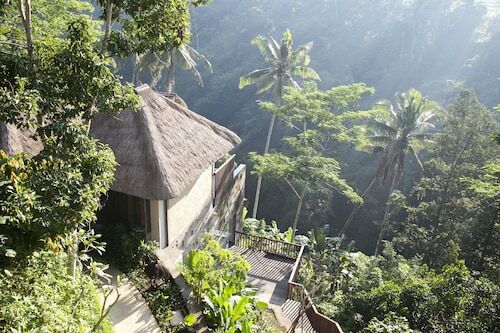 Kedewatan choices are the Hanging Gardens of Bali and Bidadari Private Villas & Retreat. 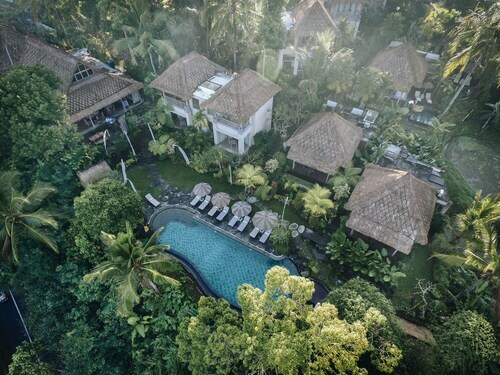 If you are travelling into or out of Ngurah Rai International Airport and would prefer to stay nearby, try the Four Seasons Resort Bali at Jimbaran Bay or the Temple Hill Residence Villa. How Much is a Hotel Room in Sebatu? Hotels in Sebatu start at AU$116 per night. Prices and availability subject to change. Additional terms may apply.